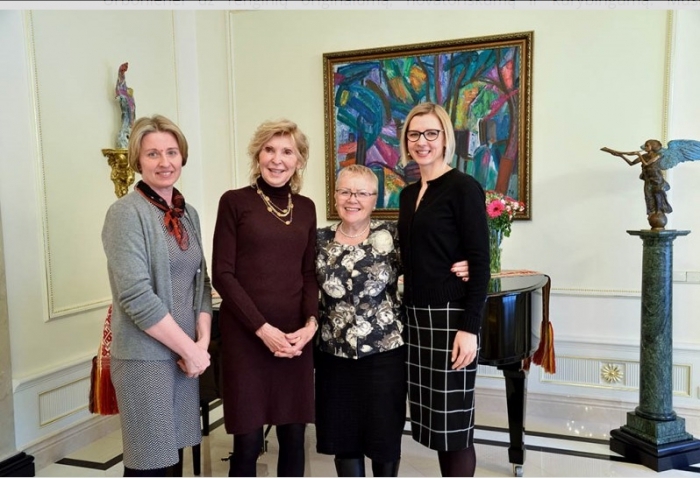 During her latest trip to Lithuania, President of the Kazickas Family Foundation, Jurate Kazickas, met with the University of the Third Age (MČTAU) members. 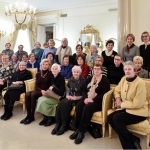 MČTAU is an independent, volunteer based organization, informal educational institution for elderly with a goal to help seniors to integrate into the society. Lithuania... You are so small, like a drop of amber on the globe, but so grand, so many greats You fostered! One of them - Joseph Kazickas - intellectual, philanthropist, entrepreneur, noble man who's success and life motto, as he described himself, was the Ten Commandments that guided him like a star through the challenging times. "Life only has meaning when one is sharing good fortune with others and contributing to a better life for everyone ," such J. Kazickas' thoughts are the focal point of his autobiography "Odyssey of Hope". He was the first philanthropist in Lithuania who realized that education and culture play crucial role in country's development. We, the students of the Faculty of Culture, thanks to our leader Aldona Urboniene's efforts and the Kazickas Family Foundation's New York and Vilnius directors Neila Baumiliene's and Agne Vertelkaite's help, had an honor and a pleasure to learn more about this noble individual during the J. Kazickas exhibition opening at the Vilnius University White Hall on January 25th. During the event Jurate Kazickas presented to the guests the third edition of her father's biography "Odyssey of Hope". Evening's guests and University community members remembered that A. and J. Kazickases were this Alma Mater Faculty of Economics students, shared their love for their Homeland and longing to see their country free. 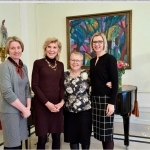 On January 26th we met with Jurate Kazickas who kindly welcomed us at her parents' home in Vilnius. 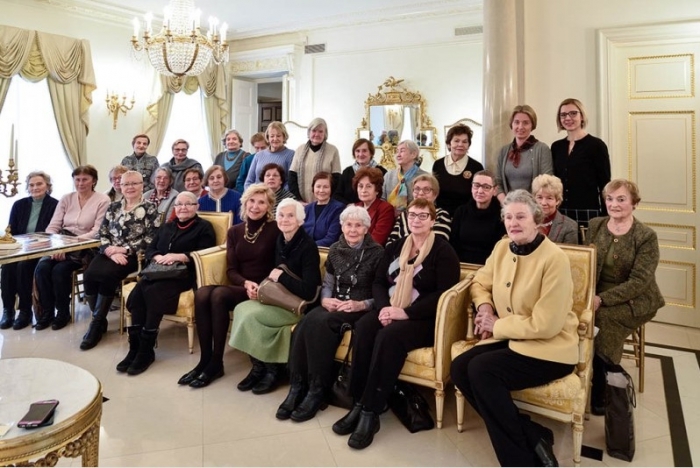 MČTAU director Zita Zebrauskiene introduced her to Medardas Ciobotas University of the Third Age work, faculties, seniors enthusiasm, thirst for knowledge and desire to keep up with life. Jurate answered all our questions, shared her memories of her parents and wished all of us best of luck and good health. J. Kazickas also introduced us to foundation's work in Lithuania, putting emphasis on "Youth Can" program for the youth in rural areas. Big Thank You goes out to our leader Aldona Urboniene for organizing this unique event.